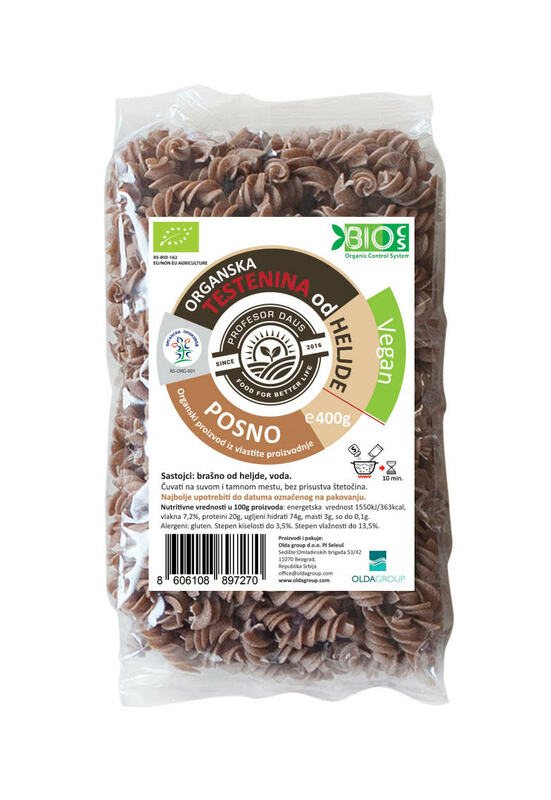 Pasta from spelta whole grains. Without eggs. Spelta has a high protein content and in an ideal ratio with carbohydrates, fats, minerals, vitamins and cellulose. Nutritional substances from the spelte do not burden the digestive system, they quickly enter the bloodstream. The health benefits of spelt include its ability to help regulate metabolism, help to regulates hormones, increase circulation, build strong bones, improve the immune system, boost the digestive function, improves blood circulation, lower blood sugar and LDL cholesterol levels in the body. 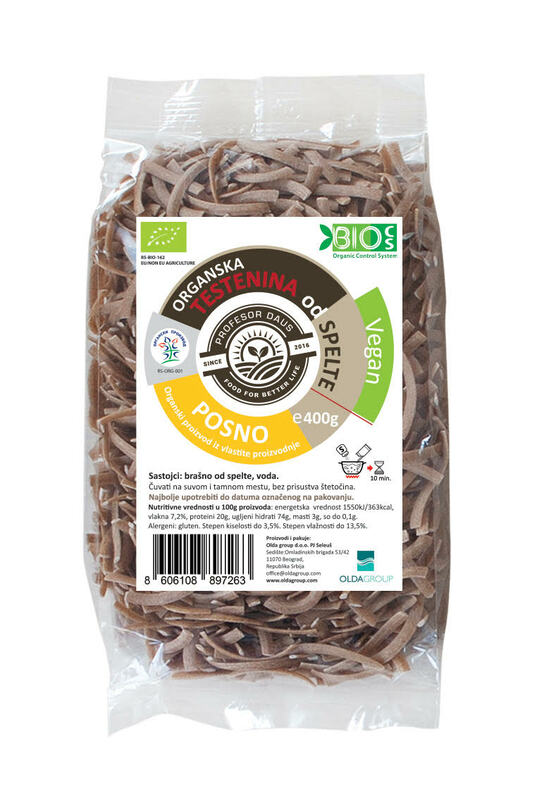 Organic pasta from buckwheat. Without eggs. - prevents depression due to the presence of a tryptophan who is in charge of good mood. 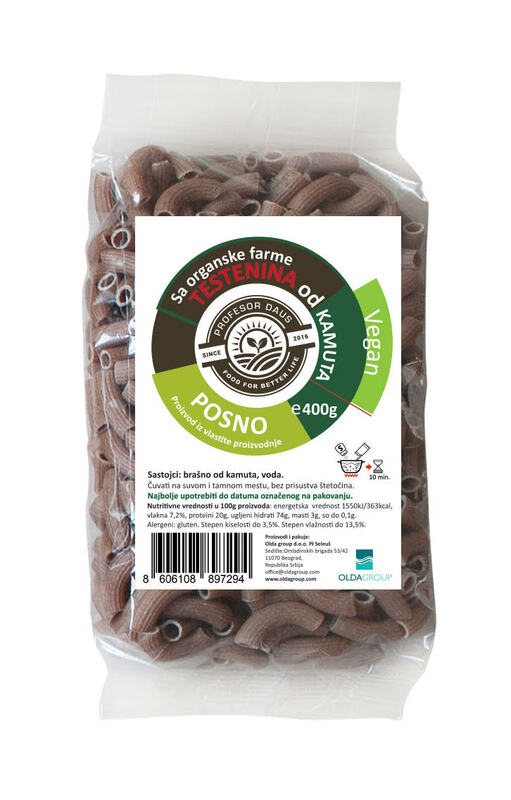 Pasta from kamut. Without eggs. Kamut is a trade name given to grain Khorasan wheat. Kamut was long forgotten, while, by the story, it was not found in some digging of ancient Egyptian artifacts, when a great return to our diet was made. It has excellent flavor, nutty and buttery flavor, great texture, it is easy to digest and is good for allergy-sensitive people. It has more protein, lipids, vitamins, minerals and amino acids than common wheat. Benefits of Kamut reflect on our bone system (the content of manganese), digestive organs (rich in fibers). Kamut is a diet rich in proteins that is significant for our whole body, but also for the brain, immunity and hormones in our body.